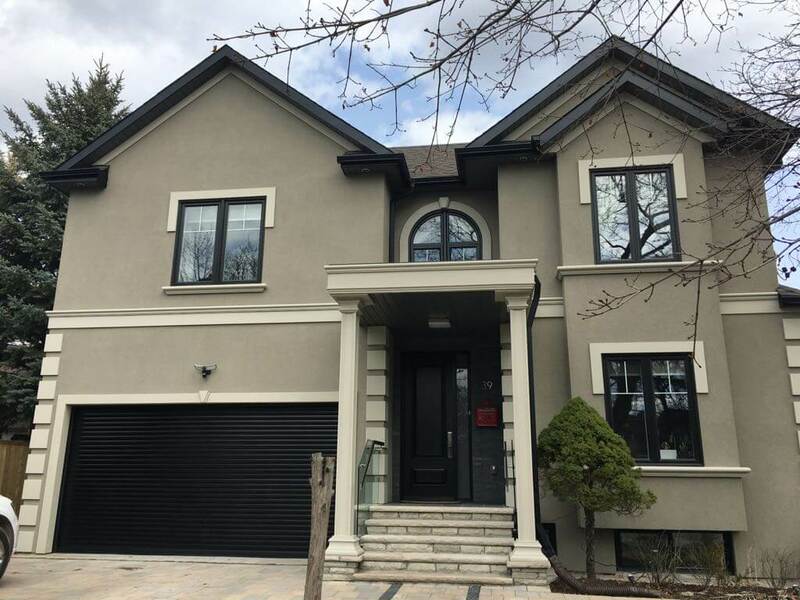 Residents of York and the Greater Toronto Area enjoy an excellent opportunity to obtain stylish custom residential roll up garage doors through ROLLerUP. Obtain turnkey purchase and installation services. We maintain a wonderful selection of roller doors. Customers appreciate the competitive prices and attractive features of these products. Today a garage door in Ontario serves more than a strictly utilitarian purpose. It also contributes to the appealing exterior of a fine residential property. Our roller garage doors weigh considerably less than conventional sectional wood or metal frame doors, a factor which contributes to affordability. Easy to ship and available in a wide array of popular colors, they complement current exterior siding and trim styles. We offer competitively priced aluminum residential roll up garage doors cut to fit customized dimensions. Customers appreciate the ease of transporting these items, too. Our lightweight custom roll up garage doors will roll up into a box, and do not require a moving van or delivery truck in most cases. Select doors with perforated windows to increase the level of natural light entering the garage. Property owners may paint these low maintenance, convenient roller garage doors easily, although they do not need to do so. Have you searched for a lightweight custom roll up garage door capable of functioning as a component within a computerized or automated home environment? Ask ROLLerUP to work with your computer technicians to provide interconnected installation services. These residential roll up garage doors will function manually, or they can serve as constituents of sophisticated home networks. They will accommodate remote control, voice activation, Internet control, and sensor activities. When you order a garage door from us, simply let us know whether you will utilize it as part of an existing or planned automated system. Let us know the name of your tech company so we can coordinate the installation of roller doors with other home systems. Today a growing number of Ontario residents appreciate the availabiity of residential garage doors as features of access controlled living spaces. As one of the leading local providers of residential roll up garage doors, ROLLerUP supplies qualified garage door installation services. Customers count on our firm to furnish ongoing support and assistance. We understand the important role a garage door plays in maintaining vehicles in good condition, and you can rely on our technicians to furnish swift, reliable customer service! Purchase high quality residential roll up garage doors from us with (or without) installation services. Since this type of garage door represents an in-demand product in the marketplace, most customers prefer to also schedule an installation appointment. We value your business and we look forward to addressing any questions you have about these trendy products. Our company carries top quality brands of roller doors. These products elicit widespread interest! Visit our showroom in York, or call us. We look forward to assisting you.